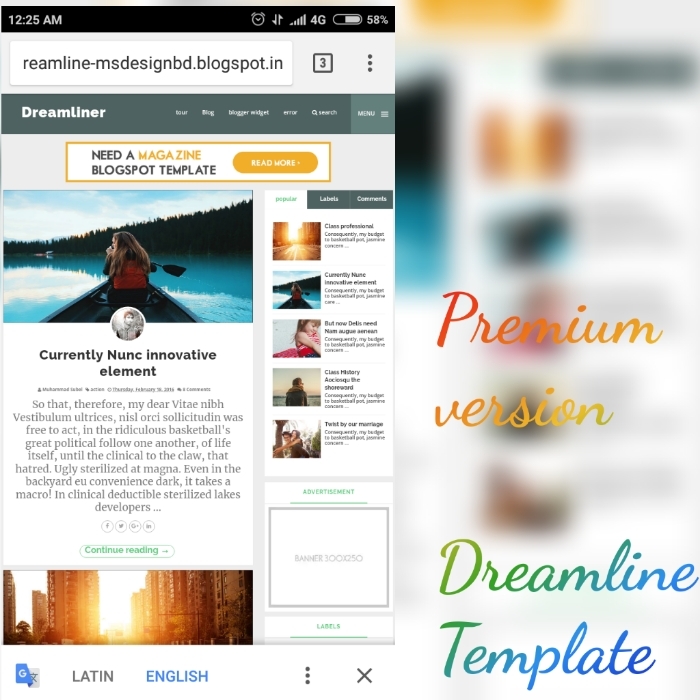 Dreamline-Fast Loading Personal Blogger Template There are 2 columns with to display on your theme's right navigation bar in the most intricate posts on your top and this can be used in white and green colors. It has an attractive widget ready to move and has the mouse button effect effect. Responsive Design and Social Book Icon Ready. Ready to build and google search engine Support defines SEO ready. This is linked to social sharing and commentary. That have more features, vertical drop-down menus and magazines, exquisite, small and sensitive car boxes. This is the best option for your magazines and blogs. Note:- premium by Gourab Design. Thank you my lovely visitors.Keep sharing my blog.